A study published by the journal, Brain and Behavior, found that MS patients who supplemented with vitamin D during the winter and spring months experienced a 50% decrease in relapses annually. MS is a chronic disease in which the body’s immune system begins attacking the protective sheath covering the nerve cells in the brain and spinal cord. Damage to these cells causes an interference of nerve signals between the brain, spinal cord and body. Symptoms of MS include, but are not limited to, numbness and tingling, muscle spasms, pain, impaired physical coordination, blurred vision and fatigue. Severe cases may leave patients unable to walk or drive, potentially affecting their ability to work or carry out activities of daily living. The most common type of MS is called relapsing remitting multiple sclerosis (RRMS). This form of MS is characterized by periods of increased disease activity, or relapse, followed by periods where some or all of the symptoms disappear, known as remission. Interestingly, MS relapses most frequently appear during the late winter and early spring months, a time when sun exposure is less intense, and vitamin D production decreases substantially. Therefore, researchers have become interested in the role of vitamin D in MS outcome. Evidence is continuing to strengthen this relationship, with researching showing maternal vitamin D deficiency is linked with a nearly 2-fold increased risk of the offspring developing MS later in life. Additionally, both sun exposure and vitamin D supplementation are associated with disease outcome of MS. 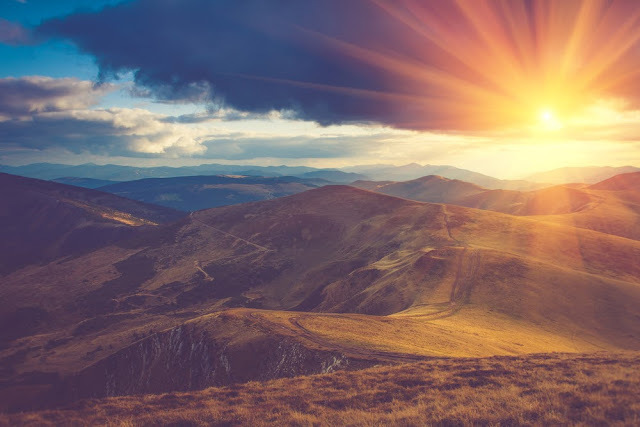 However, until now, researchers have yet to evaluate the effect of vitamin D supplementation on the relationship between seasonal variations in UVB radiation, vitamin D status and MS relapse rate. Therefore, in this study, researchers hypothesized that supplementing with vitamin D during the winter and early spring, when vitamin D production drops, would decrease the rate of relapse among MS patients. The researchers analyzed the medical records of MS patients between April 2010 and June 2016 at the neurological outpatient department Neurocenter Peine, in Germany. Individuals were included in the analysis if they met the following criteria: at least 6 months of care without vitamin D supplementation, and 6 months of care with weekly vitamin D supplementation of about 20,000 IU. A total of 40 patients met this criteria, and thus were included in the analysis. The patients had their vitamin D levels measured two years after beginning their supplementation regimen. UVB radiation data was provided by the local government. The researchers observed the patients quarterly and annual relapse rate prior to and during vitamin D supplementation. The patients supplemented with an average of 18,950 IU (474 mcg) vitamin D3 per week. Prior to supplementation, patients experienced seasonal variations of 25(OH)D status, with vitamin D levels peaking from July to September and lowest between January and March. The only time that non supplemented patients reached levels above than 20 ng/ml (51 nmol/l) was between July and September. Serum vitamin D levels increased by 20 ng/ml (51 nmol/l) after supplementing with vitamin D for 6 months (p < 0.001). Vitamin D supplementation prevented significant drops in vitamin D levels during the winter and spring months (p > 0.05), with vitamin D levels maintaining around 28 ng/ml (70 nmol/l). Vitamin D was associated with a 50% decrease in MS annual relapse rate (p = 0.04). The annual decrease in relapse was largely attributed to the reduction in quarterly relapse rate during the late winter and early spring months.